The iPhone Dev-Team has updated RedSn0w with support for jailbreaking iOS 5.0.1 beta which was recently released for iOS developers. RedSn0w 0.9.9b8 recognizes 5.0.1 beta and you don’t have to “point at 5.0 IPSW” any more. Since the IPSW isn’t public, you’ll still need to provide it once to redsn0w (Extra -> Select IPSW). 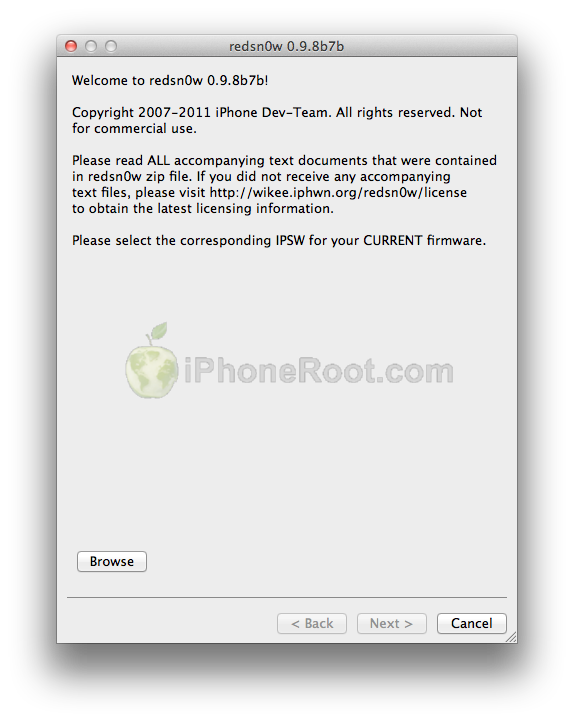 The iPhone Dev-Team has released RedSn0w 0.9.9b5 – an official tethered jailbreak for iOS 5. Users don’t have to point to downloaded iOS 5 ipws any more. Just run and jailbreak. Currently only the Mac version has been made available. Windows version is coming soon. However Windows users can still jailbreak iOS 5 with Redsn0w 0.9.9.b4, – just go to “Extras” -> “Select IPWS” and select your iOS 5 ipsw file (can download here). The new “Custom IPSW” button on the Extras screen will create a custom IPSW without the baseband update for 4.3.3 or 5.0gm (iPhone3GS and iPhone4 only, for now). Remember not to accidentally restore to the stock IPSW after you create the custom one! The custom one begins with NO_BB_ (for “no baseband”).